Julian Bond came of age during that critical time in this nation’s history when winning equal rights for all took a great deal: a clear head, a big heart, a razor-sharp intellect, and a way with words. Julian Bond had it all. And he could wrap all of it up to create whatever was needed at the time – either a tool or a weapon, a poem or a sermon. He was driven by a commitment to make America better. While a Morehouse-based member of Student Nonviolent Coordinating Committee (SNCC), helping to organize the Freedom Summer of 1964 and its massive voter registration drive in Mississippi, Julian Bond took to task the American public and President Lyndon B. Johnson. Those words came from a letter Julian Bond wrote on April 28, 1964 to one of America’s most inspiring writers, James Baldwin. 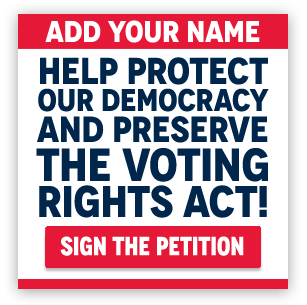 He was writing to encourage Baldwin to join a “jury” to hear “testimony” about Civil Rights violations from African Americans facing discrimination in employment, housing, and voting rights in Mississippi. Under a plan designed by SNCC and other members of the Council of Federated Organizations, the testimony would be presented to the President so he would be moved to create a government-sanctioned way to protect the Freedom Summer workers. Bond’s letter to Baldwin has entered the collections of the National Museum of African American History and Culture. It will be used alongside similar documents to show how people like Julian Bond helped design and fuel the Civil Rights Movement. Bond was so committed to helping us tell that story well, that he became a member of the museum’s Civil Rights History Project advisory committee. In that role he helped us land interviews with some of the most important workers in the movement; he also conducted two of the more than 150 interviews for this oral history project. One was with Lawrence Guyot, the director of the 1964 Freedom Summer project in Hattiesburg, Mississippi. Julian Bond wrote his letter to James Baldwin in 1964 at the age of 23. Less than three years later he would be awarded his seat in the Georgia House of Representatives by a unanimous decision of the U.S. Supreme Court. Four years after that, in 1971, he would become the founding president of the Southern Poverty Law Center. Nearly 30 years later, in 1998, he would take the helm of the NAACP serving as its national chairman for an astonishing 12 years. 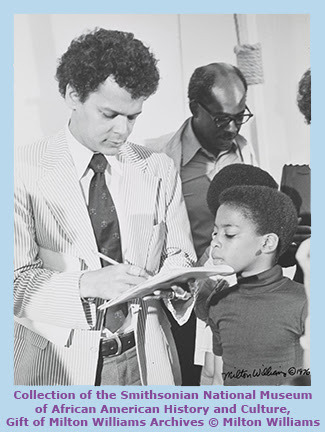 Julian Bond has spent his life as a champion in the campaign for equality. Much of what we as a nation know about compassion and commitment, we have learned from Julian Bond, the people he emulated and the people he inspired. We are sad because he has left us. And we are deeply honored that we had him for as long as we did … to help us help America live up to her promises. We are better people because he walked among us for a while. Thank you, Horace Julian Bond. Did Einstein speak about racism at Lincoln University? Here is the text of the email: Here’s something you probably don’t know about Albert Einstein. In 1946, the Nobel Prize-winning physicist traveled to Lincoln University in Pennsylvania, the alma mater of Langston Hughes and Thurgood Marshall and the first school in America to grant college degrees to blacks. At Lincoln, Einstein gave a speech in which he called racism “a disease of white people,” and added, “I do not intend to be quiet about it.” He also received an honorary degree and gave a lecture on relativity to Lincoln students. In fact, many significant details are missing from the numerous studies of Einstein’s life and work, most of them having to do with Einstein’s opposition to racism and his relationships with African Americans. Einstein continued to support progressive causes through the 1950s, when the pressure of anti-Communist witch hunts made it dangerous to do so. Another example of Einstein using his prestige to help a prominent African American occurred in 1951, when the 83-year-old W.E.B. Du Bois, a founder of the NAACP, was indicted by the federal government for failing to register as a “foreign agent” as a consequence of circulating the pro-Soviet Stockholm Peace Petition. Einstein offered to appear as a character witness for Du Bois, which convinced the judge to drop the case. In the wake of the monumental effort to digitize Einstein’s life and genius for the masses, let’s hope that more of us will acknowledge Einstein’s greatness as a champion of human and civil rights for African-Americans as one of his greatest contributions to the world. Nearly fifty years after his death, Albert Einstein remains one of America’s foremost cultural icons. A thicket of materials, ranging from scholarly to popular, have been written, compiled, produced, and published about his life and his teachings. Among the ocean of Einsteinia — scientific monographs, biographies, anthologies, bibliographies, calendars, postcards, posters, and Hollywood films — however, there is a peculiar void when it comes to the connection that the brilliant scientist had with the African American community. Virtually nowhere is there any mention of his relationship with Paul Robeson, despite Einstein’s close friendship with him, or W.E.B. Du Bois, despite Einstein’s support for him. This unique book is the first to bring together a wealth of writings by Einstein on the topic of race. Although his activism in this area is less well known than his efforts on behalf of international peace and scientific cooperation, he spoke out vigorously against racism both in the United States and around the world. The only possibility of preventing war is to prevent the possibility of war. International peace can be achieved only if every individual uses all of his power to exert pressure on the United States to see that it takes the leading part in world government. The United Nations has no power to prevent war, but it can try to avoid another war. The U.N. will be effective only if no one neglects his duty in his private environment. If he does, he is responsible for the death of our children in a future war. My trip to this institution was in behalf of a worthwhile cause. The situation of mankind today is like that of a little child who has a sharp knife and plays with it. There is no effective defense against the atomic bomb … It can not only destroy a city but it can destroy the very earth on which that city stood. According to Jerome and Taylor, Einstein’s statements at Lincoln were by no means an isolated case. Einstein, who was Jewish, was sensitized to racism by the years of Nazi-inspired threats and harassment he suffered during his tenure at the University of Berlin. Einstein was in the United States when the Nazis came to power in 1933, and, fearful that a return to Germany would place him in mortal danger, he decided to stay, accepting a position at the recently founded Institute for Advanced Study in Princeton, N.J. He became an American citizen in 1940. But while Einstein may have been grateful to have found a safe haven, his gratitude did not prevent him from criticizing the ethical shortcomings of his new home. 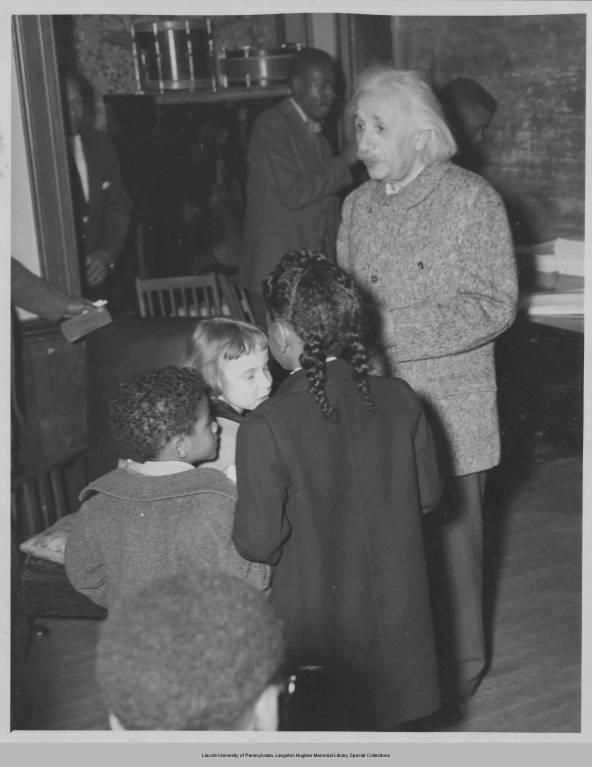 Einstein’s response to the racism and segregation he found in Princeton (Paul Robeson, who was born in Princeton, called it “the northernmost town in the South”) was to cultivate relationships in the town’s African-American community. Jerome and Taylor interviewed members of that community who still remember the white-haired, disheveled figure of Einstein strolling through their streets, stopping to chat with the inhabitants, and handing out candy to local children. One woman remembered that Einstein paid the college tuition of a young man from the community. Another said that he invited Marian Anderson to stay at his home when the singer was refused a room at the Nassau Inn. For the last year and a half, Speaker John Boehner (R-OH) has said in a number of forums that he wants to pass comprehensive immigration reform. Rather than pass the bipartisan immigration reform plan approved by the Senate, however, Boehner sat on his hands and let that bill expire with the end of the last Congress. Now, in week two of the new Congress, Republicans on Capitol Hill have taken an approach that makes it crystal clear that any rhetoric about the need for immigration reform is nothing but lip service. As part of the must-pass funding bill for the Department of Homeland Security, the House GOP has introduced a provision that regressively seeks to repeal the President’s immigration policies, effectively threatening mass deportations, exposing millions of American families to potential separation, and putting our national security at risk. As we saw in France last week, keeping the country safe from terrorism is imperative, and threatening to shut down the Department of Homeland Security over common-sense immigration priorities is shamefully irresponsible. First, Republicans want to effectively repeal the President’s executive action that is expected to shield nearly 5 million undocumented immigrants from deportation. This group consists of parents of U.S. citizens, as well as DREAMers who were not originally eligible for the 2012 DACA program. Second, the bill would also effectively repeal DACA, exposing over 600,000 DREAMers to the threat of deportation once again. Third, House Republicans are trying to undo DHS’s enforcement priorities, which target serious offenders rather than indiscriminately going after long-time residents or family members. When you add all these measures up, you get a near-total repeal of federal immigration policies that the Obama administration has built in light of Congress’s failure to pass comprehensive immigration reform. That amounts to more of the same from Republicans, who for years have attacked immigrants and their families, whether through repeated votes against DACA or 25-state partisan lawsuit against the President’s executive action. This policy doesn’t just hurt families, it also hurts our national security. Allowing low-priority immigrants to come forward, pass background checks, and request deferred action means fewer people living under the radar, beyond the reach of law enforcement. BOTTOM LINE: After refusing to allow a vote on a bipartisan immigration reform bill last year, House Republicans now want to cement the status quo in pursuit of their extreme agenda of mass deportations. Instead of supporting actions that would help keep families together, make our country more secure, and ensure that everyone is paying their taxes, Republicans are playing politics with critically important national security funding at a time when we remain on high alert for terrorist threats. It is irresponsible, it is reckless and it is a waste of time that should instead be spent passing bipartisan, comprehensive reform. Cesar E. Chavez National Holiday was established by Los Angeles volunteers who organized and led the effort in California that won Cesar Chavez Day, the first legal state holiday and day of service and learning in honor of farm worker leader Cesar E. Chavez. The legal holiday bill introduced by then State Senator Richard Polanco (Los Angeles-D) was signed into law by then Governor Gray Davis (D) on August 18, 2000. The holiday is celebrated in California on Cesar E. Chavez’s birthday March 31st. This marked the first time that a labor leader or Latino has been honored with a public legal holiday. Cesar Chavez Day brings together hundreds of thousands who engage in celebrations, service and learning projects, and other actions that further the many causes which Cesar Chavez worked for. The mission of Cesar E. Chavez National Holiday, a public benefit organization, is to work for national recognition of Cesar E. Chavez on his birthday March 31. 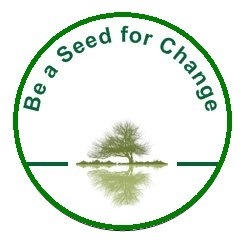 We are forming national, state and local coalitions; organizing volunteer committees; and providing education about the value to our nation of honoring Cesar E. Chavez. Cesar Chavez gave our nation and each of us a unique example to live our lives by. His selfless dedication for farm worker and worker rights, economic justice, civil rights, environmental justice, peace, nonviolence, empowerment of the poor and disenfranchised, is a monumental legacy that will inspire all and the generations to come. The winning of national recognition for Cesar Chavez with holidays, service, learning and community action events, is a fitting tribute and significant way to share his life’s work as the founder and leader of the United Farm Workers of America (UFW). What is most important is that remembering and honoring Cesar Chavez inspires more people to become involved in the causes that continue Cesar Chavez’s extraordinary legacy. Cesar E. Chavez National Holiday extends our profound thanks to our advisors for their assistance that sheds light on our journey. 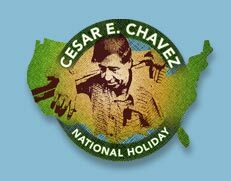 Cesar E. Chavez National Holiday wishes to thank our partners and founding sponsor organizations and individuals whose support insures our journey. 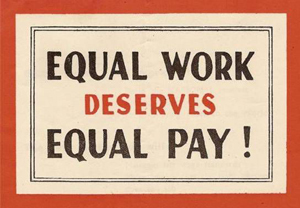 Cotton, a freshman congressman who is running for Senate in 2014, warned feminists in a 1997 article for the Harvard Crimson that no-fault divorce will backfire on them by enabling their husbands to leave them for trophy wives.